Design Your Own Cruise to suit you! We can stop for a swim, you can throw a fishing line in or have a BBQ on board! 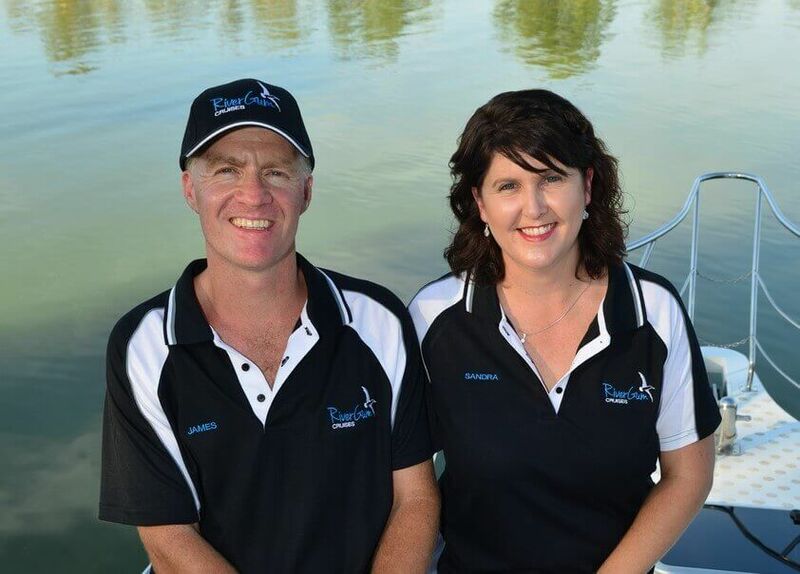 Join your hosts, James and Sandra, on their brand new boat ‘Qatar’ for a relaxing cruise up or down the River Cruises Adelaide South Australia, enjoying the quiet, smooth waters around Waikerie. Get up close and personal with nature and see the unique bird life, native flora and local fauna while cruising past 100 foot majestic limestone cliffs and glorious native gum and mallee trees on the picturesque banks of the River Murray. Enjoy uninterrupted views of the incredible landscape from different areas of the boat or sit back and relax in our air-conditioned cabin. We offer short 2 or 3 hour River Cruises Adelaide South Australia at different times of the day, including a Sunset cruise. Our Delightful Day Cruises showcase local attractions including Banrock Station, Caudo Vineyard, Overland Corner & Lock 2 for unique dining experiences. 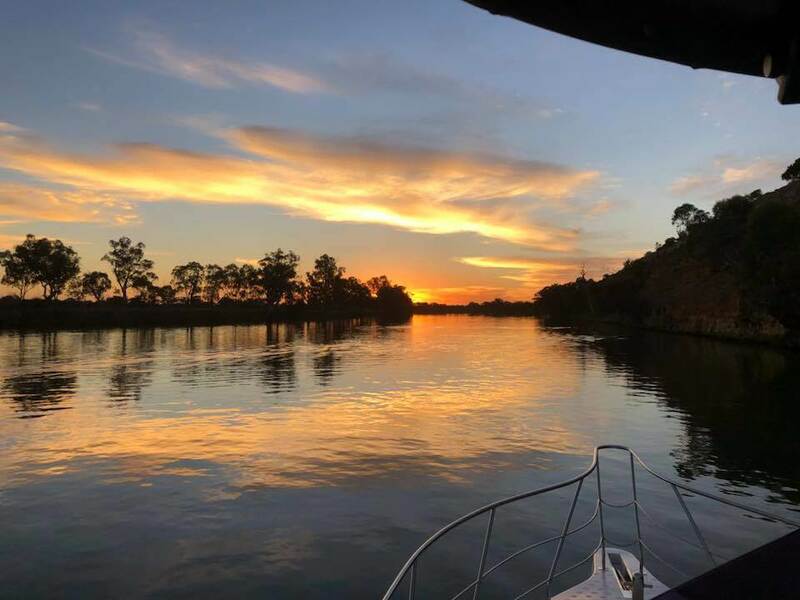 Enjoy a local platter and a range of beers and local wines from our licensed bar on all our cruises as we journey along the River Murray for a truly serene experience. These are the River Cruises Adelaide South Australia that we have booked in but we are available most days with at least 24 hours notice. We would like a minimum of 4 people on board for the 2 hour cruises to go ahead. 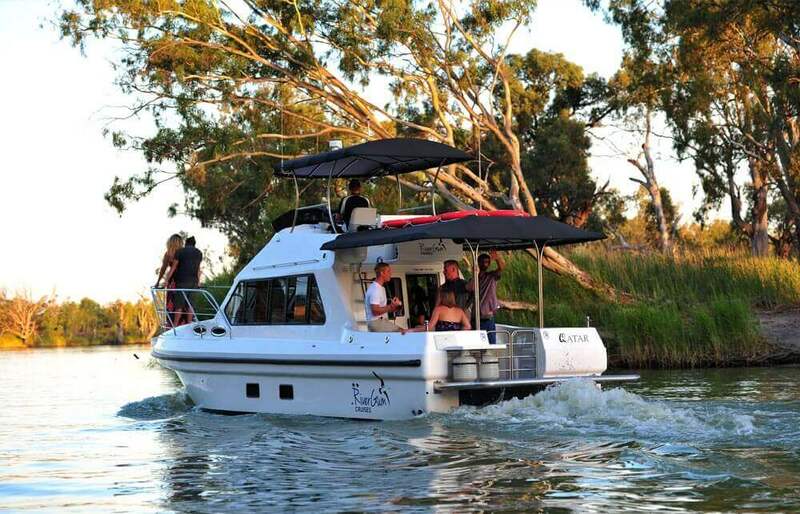 Cruise the mighty Murray River on board “Qatar” seeing 100 foot limestone cliffs, bird life and wildlife to arrive at Caudo Vineyard after midday to enjoy a BBQ Grill and their famous Sangria. 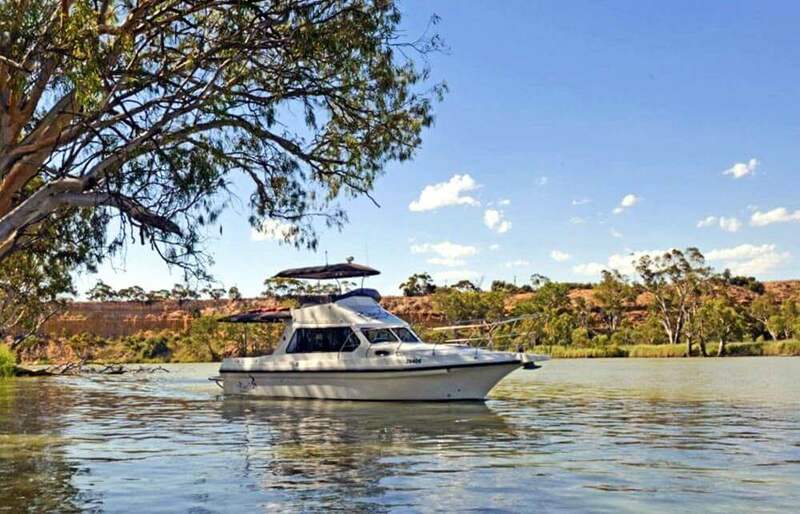 Cruise the mighty Murray River aboard Qatar, seeing 100 foot limestone cliffs, birdlife and wildlife, to arrive at Banrock Station after midday to enjoy a sumptuous meal and local wines. All our cruises are ideal for your next family get together with family and friends, clubs, birthdays, Christmas functions or even your business lunch. We cater for up to 11 passengers but welcome couples, families and groups of all sizes. We can also do a Design Your Own Cruise so talk to us about your ideas and we will assist you in designing the perfect event. Get in touch with us to find out about the perfect river cruise, then sit back, relax and let us take the wheel. 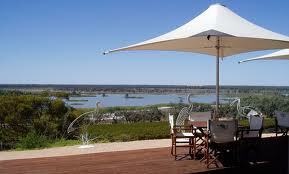 See the Murray River like it was meant to be seen! Over 14 years and many, many long hours the boat has undergone major reconstruction to become a luxurious 35 foot river cruiser surveyed for 11 passengers. Beautiful sunny day to watch nature at it’s best while cruising gently along the River Murray. Sandra & James hospitality while cruising was great and enjoying a platter and complimentary drink. James knowledge of the different sites along the way was very interesting. Enjoying the fresh breeze out on the bow of the boat sipping on a glass of bubbly is always pleasure.